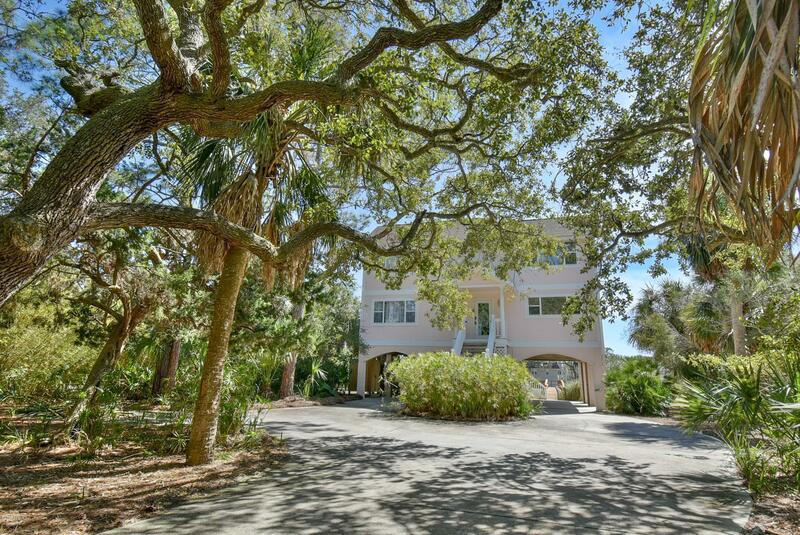 This lovely bright and open home is ideally located convenient to all things Fripp Island! It doesn't get any better than this wide back porch, with rockers and a hammock to enjoy the view of the tidal lagoon and the ocean breezes. The living room is open to the kitchen, to enjoy family gatherings all together. Two bedrooms downstairs and 3 bedrooms upstairs. Plenty of gathering space in the carport, along with an outdoor shower to rinse off the beach sand. This location offers the tidal lagoon plus private dock, as well as a short walk to beach access and to the marina area, and close to a golfcourse. Its the best of Fripp Living! Most of the tasteful coastal furnishings will convey with a few exceptions.